It’s true! It really works! I can’t believe I’m going to write a post completely about bacon. 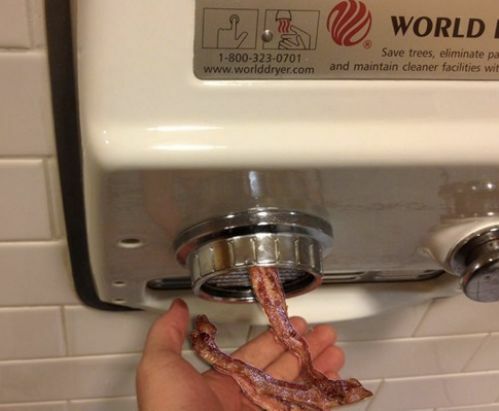 I have honestly thought our culture’s recent obsession with bacon is silly, and in my opinion, unwarranted. I’ve never really been that into bacon, until my pregnancies. Until now, I don’t think I realized how much bacon I really enjoyed during each of my pregnancies. So, I’ll say it loud and proud, I miss BACON! If I could, I would go to Manny Hattan’s and get their B.L.T. Or perhaps to Bacon (the restaurant). Mmmm…. Do you think all of this bacon talk is nonsense?